Contemporary sofa in grey high-grade fabric with chic contrast welt features power reclining ends with power headrest & built-in USB. Update your living space with the contemporary style and convenience of the Klaussner Islander sofa. 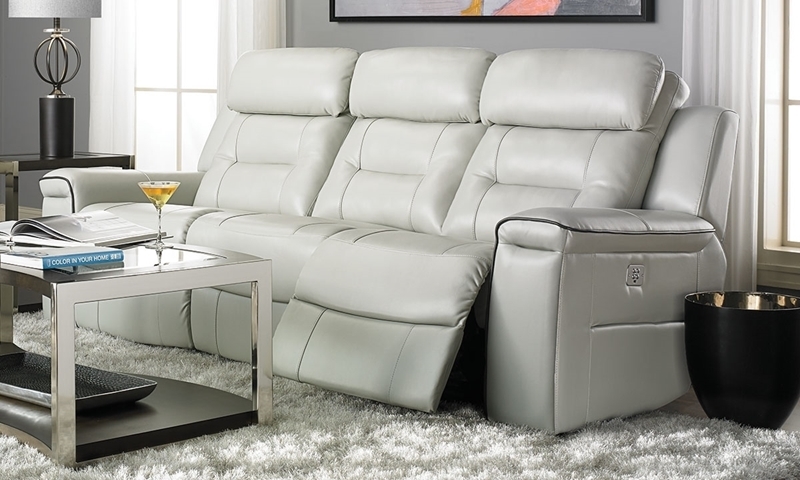 Both power reclining ends feature a full-leg chaise and power headrest for complete support and comfort. Built-in USB ports make it easy to charge your smartphone, tablet and more without leaving your seat. Stylish seaming and contrast color welts lend fashionable finishing touches to this modern sofa upholstered in grey high-grade fabric.